Discover all the information about your syllabi and books here! The Flemish Economic Association is responsible for the course service of the disciplines Economic Sciences, Applied Economic Sciences and Business Engineering of the Faculty of Economics and Business Administration. You can find the data of the sales and their locations under 'where and when'. With the VEK, we ask you to preorder your books via www.fkgent.be/fkbooks. You can discover how you preorder your books precisely under 'how to order your books'. Please bring a copy of your order when picking up your order. In this way the booksales will pass by smoothly. We offer you the possibility to pay your books cash, as well as with a debit/credit card. Scrolling down, you can find which books you need at 'Book lists VEK'. Downloading this PDF-file allows you to reclaim all necessary information as well as the target prices of your books. How to order your books? 1. First of all you need to register on www.vek.be. Certainly fill up your profile! Also you can choose here to order a membership card. More info about this card can be found at the end of this paragraph. 3. Log in to your UGent-account, using your user name and password. 5. Follow the instructions on the website concerning the ordering of your books. If you do not need the entire set of books for a study, it is possible to select books individually as well, using the button 'maak je eigen boekenpakket'. 6. Make sure to confirm the order at the bottom of the page! In the meantime, the book sales of the second semester have ended, but you can still obtain your books at the book store Acco (Sint-Kwintensberg 87, Ghent)! 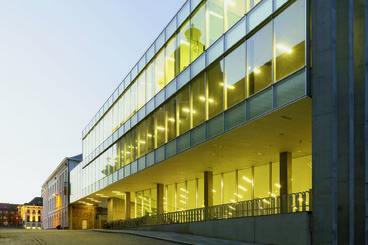 Both the book sales of VEK and ML take place in the Foyer of the Faculty of Economics and Business Administration, at campus Tweekerken (see photo in the header of this page). This hall is accesible via lift or stairs on floor -1. 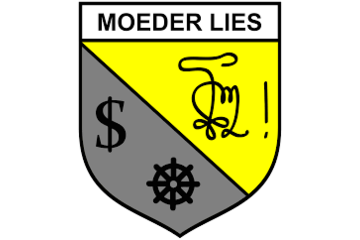 You can find the timetable of course book sales of Moeder Lies by clicking the link. During the book sales, you have the possibility to purchase a FEB-membership card. The VEK and ML arranged a lot of partners, where you are able to claim a huge offer by showing this membership card. More information can be found by clicking 'become a member'. Being a member doesn't only get you offers all over Ghent, it also gives you a discount on the purchase of your books. The membership card is available for purchase at the book sales of both organizations. Become a member here!Become a member here! 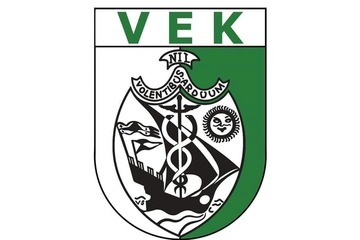 Here you can find all lists for the studies, assigned to the VEK. Click on the name of your study to open a PDF-file. Here can find all lists for the studies, assigned to ML. Click on the name of your study to open a PDF-file.